This is another image from one of the chartered flights with WrightsAir that I took whilst up at Lake Eyre, this once again with the door up for cleaner shooting. On this particular day it was idyllically perfect out on the lake with not a breath of wind making the shallow surface like a mirror with a myriad of colours. Just add a few cool clouds and my breath was well and truly taken away! After a night of thunderstorms whilst camped out at Lake Eyre. In the predawn light I made the trek, walking a few kilometres (much of it through deep sticky and also the water itself) back out to this island to shoot the dawn light hitting this thunderstorm that was tracking over the lake. During the thunderstorms overnight the wind had swung around to the opposite direction since my shoot the previous evening, which out at Lake Eyre means that all the water had moved! The lake is so flat and shallow that when there is water it can be constantly moving about due to wind strength and direction. My first trip to the Lake in 2010 I was amazed at experiencing this. On this occasi0n it was a similar effect as on the coast and the night before being a ‘high tide’ and this dawn being a ‘low tide’ as the water had been pushed towards the other side of the lake! This meant that all my muddy foot prints that were upto a foot below the water surface the night before were now exposed. So I had this to compose out of my dawn shooting images. Given that it is actually winter I thought that I should put up an image that is representational of the season. I actually shot this in the alps the w/e before I headed away to northern SA. It was a cold -5C foggy morning and the subdued lighting of the rising sun through the fog gives a hue to this scene that is a little bit different. 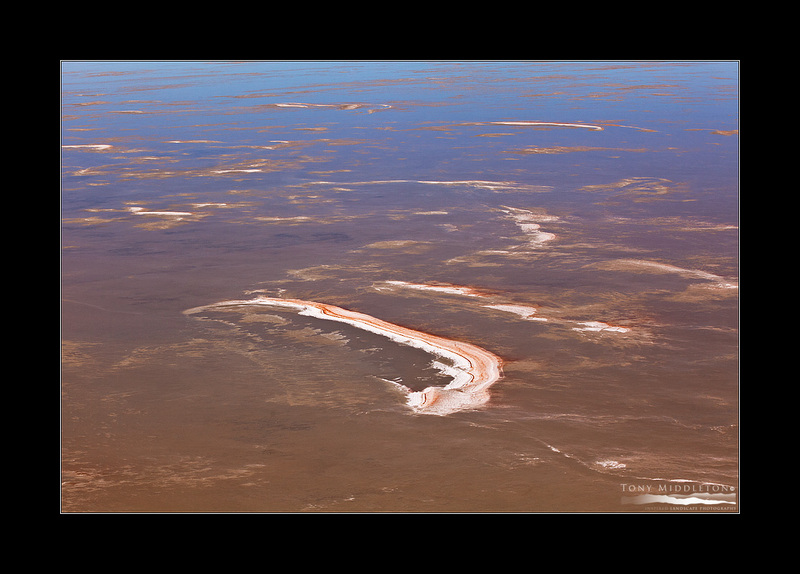 Another shot of the diminishing waters in Lake Eyre. Far down in the bottom of Belt Bay the water was tinged a magical pink with algal blooms. I’ve finally got half a moment to catch my breath and post on the good old blog – thanks to all of you that follow, enjoy and even comment here. It’s fantastic to see the feedback. I just spent a couple of weeks in the remote north of South Australia and here is the first new image from the travels for the blog. 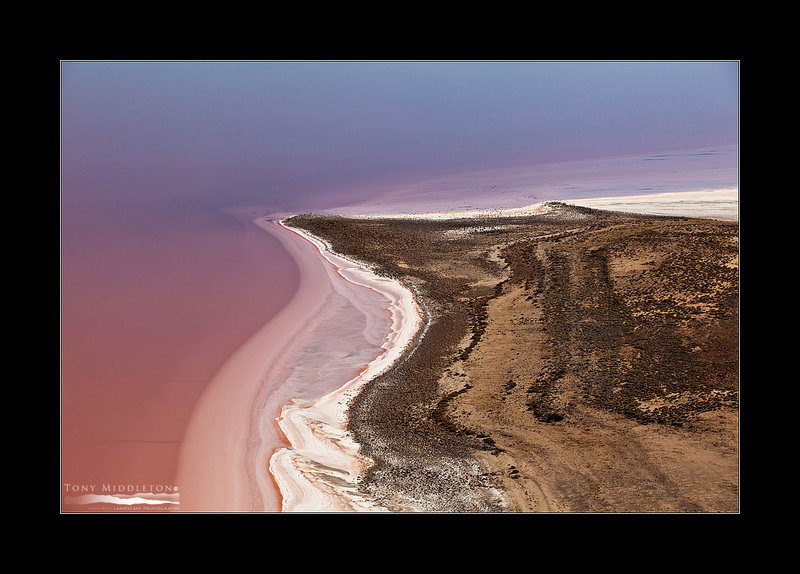 It’s a bit of an abstract of Lake Eyre. The lake had water for the forth year running, but not as much as the previous two years and is starting to recede/dry up already! It’s a magic place and on this, my third trip there I probably enjoyed it more than ever. The first week of June saw a deluge that lead to widespread flooding across Victoria’s Gippsland region and was quite a phenomenal meteorological event for the breadth of the 24-36hr rainfalls totals (widely 100-270mm across the region). To go with the deluge the system also produced official wind gusts of upto to 145km/h, which brought their own damage across the region. All the major rivers through out Gippsland reached major flood levels (A region spanning some 400km including all the southern slopes of the Great Divide in the eastern half of the state as well as ranges such as the Strzelecki Ranges). I shot this image in the valley of Macks Creek in South Gippsland during the middle of the deluge as this area received ~170mm in 24hrs. I felt that seeing these trees still clinging to their last foliage of the autumn season amidst the impeding chaos was an image and a story in itself. The irony of the stock water trough in the left of frame becoming swamped itself is an addition to the scene that I loved including. It was quite a difficult image to compile with driving rain and roaring winds, after much persistence I finally got the result that I had envisaged. Just a quick image post as I try to catch up on the last couple of months. 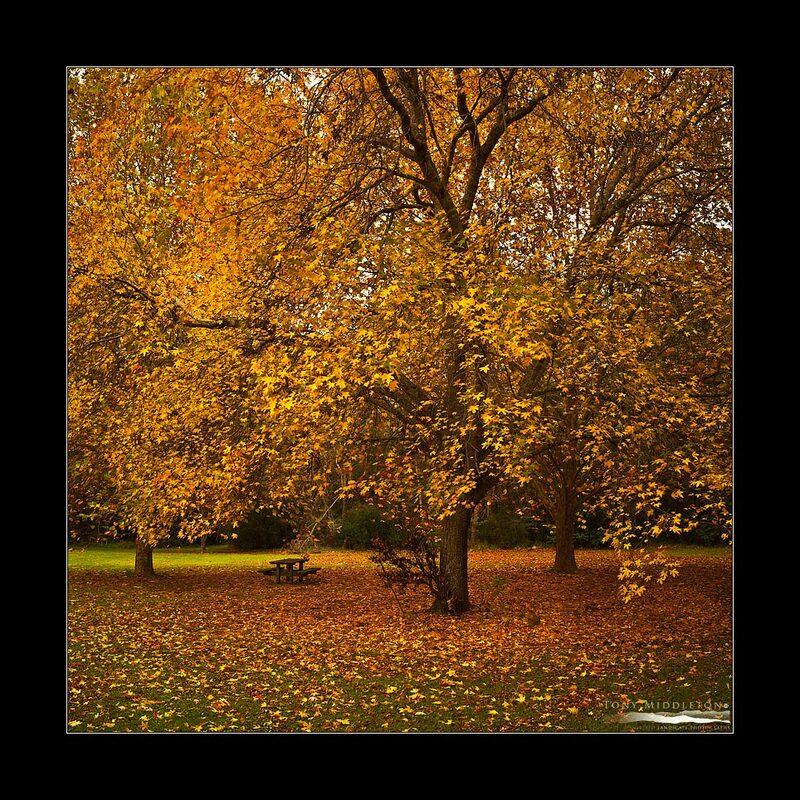 This looked like a great spot to sit, read and just contemplate life as the seasons change.